There is a secret that few people know about sacrifice. Lent is a time to think about sacrifice and what it can do to you as a person. When you give yourself fully to God during Lent, you will be amazed like I have been at the transformation that occurs. There’s something wonderful waiting to happen to you this Lent! 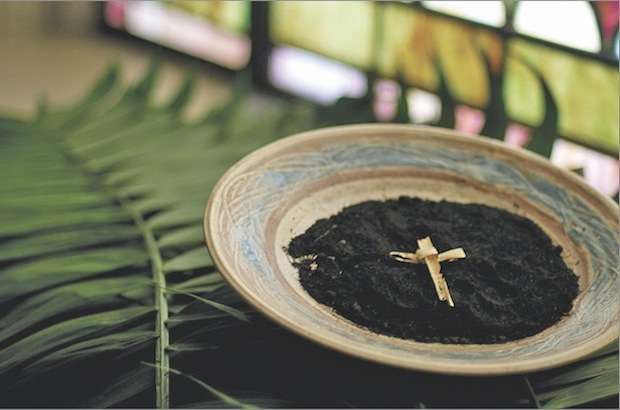 We know when Ash Wednesday rolls around, everybody is going to ask one another, “What are you giving up for Lent?” I’ve always disliked the question because I think of the season as a private, personal time of self-sacrifice and reflection. I don’t make Lenten sacrifices to advertise to others what I am doing or to seek their approval. Nonetheless, I always explain to my friends that I’m giving up this thing, and adding these extra chores to my routine. Then they nod and share theirs. I have a personal sacrifice I make, usually something I’m too much into the point of unhealthiness, then I make an added sacrifice that is solitary in nature, but benefits those around me. For example, I take on all of a certain drudgery around the house, relieving my family of their turns at the burden for several weeks. During my hours of cleaning kitchens or folding endless piles of laundry, I try to find quiet and solitude so I can pray quietly and think, and wait. I imagine my experience is pretty typical. Many of my friends do similar things, although most just give up soda or chocolate or some other bad habit. I decline to comment, after all it’s their journey. When you give enough that you feel the sacrifice, it changes you and it makes you want to give even more. So this year, I’m looking for even more to give. We assume that sacrifice will hurt a little by costing us something and naturally it would make us more frugal with ourselves. However, I have discovered the opposite happens when you give of yourself. You cannot help the desire to give more. Have you ever had this feeling? This feeling where giving feels so good you want to do more? I know many saints of the Church have experienced this, so I know it’s right. But it’s strange to feel this way myself. Well, it has certainly changed me. As much as I used to crave my vices before, I crave giving! Archbishop Krajewski was right, if you give so much of yourself that it costs you, it also changes you. This Lent I will find new ways to give. In addition to everything I normally do, I am going to do even more. I am going to give even more of myself to Christ so that I can be changed! I do not believe my relationship with Christ is special or unique. Every person who is willing to truly give themselves up to Christ for Lent can experience this and more. The purpose of Lent is to empty ourselves so we may be filled with the Holy Spirit. I believe this is happening more and more in my life. I also believe it can happen in yours. So give up chocolate, sure. But find advanced ways to give. Fast for a meal and reserve the money you save. Donate to YCVF, to help children learn a moral Catholic education. You have plenty of options. Now you know the secret. The more you give with the right spirit, the more it changes you. Just watch. I promise it will take your breath away!